Dior is great at face makeup. I have been using their powders and foundations, concealers and primers for years, and I can say that these products are of high quality and provide flawless look. 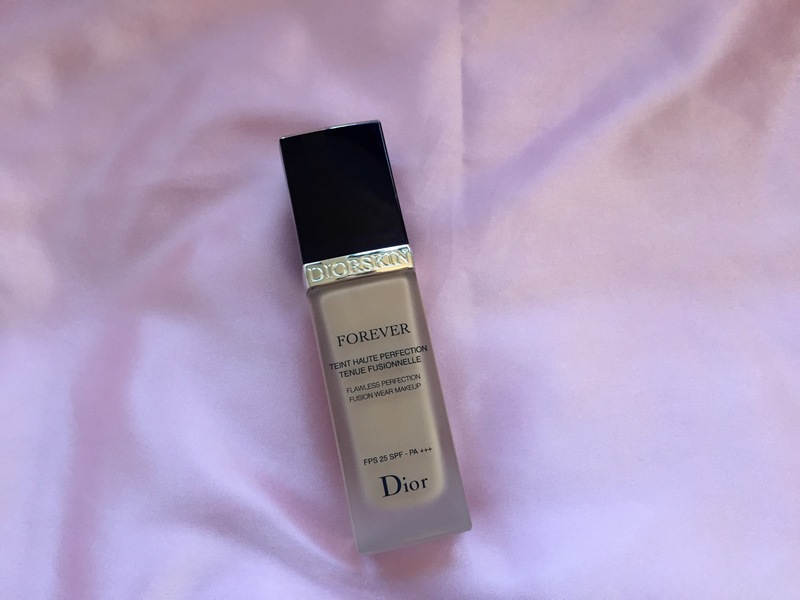 In this post I will talk specifically about Dior Diorskin Forever liquid foundation. The catchpoint of this particular product is that adapts to your skin type, sort of blends in it and therefore becomes your ‘second skin’ – Diorskin. I bought this foundation in Peach 023 color – it is warm peachy beige which works perfectly for medium skin with yellow/peachy undertones. Sephora says that this color is best for light complexions with peachy undertones but I have to disagree. I have classic medium light complexion and Medium Beige 030 (“medium beige/for medium light complexions with neutral undertones”) or Sand 031 (“medium golden beige/for medium light complexions with yellow undertones”) are way too dark for me. This foundation has Broad Spectrum SPF 25, which is very useful since it means I don’t have to apply a separate lotion with SPF under my primer. Packaging is beautiful: matte glass tube, classic Dior dark blue lid – effortlessly simple and elegant. The bottle is so small it fits in my hand (and I have very small hands) but at the same time is very sturdy. It’s definitely a big plus for me because I am not afraid to take this foundation with me when I travel. 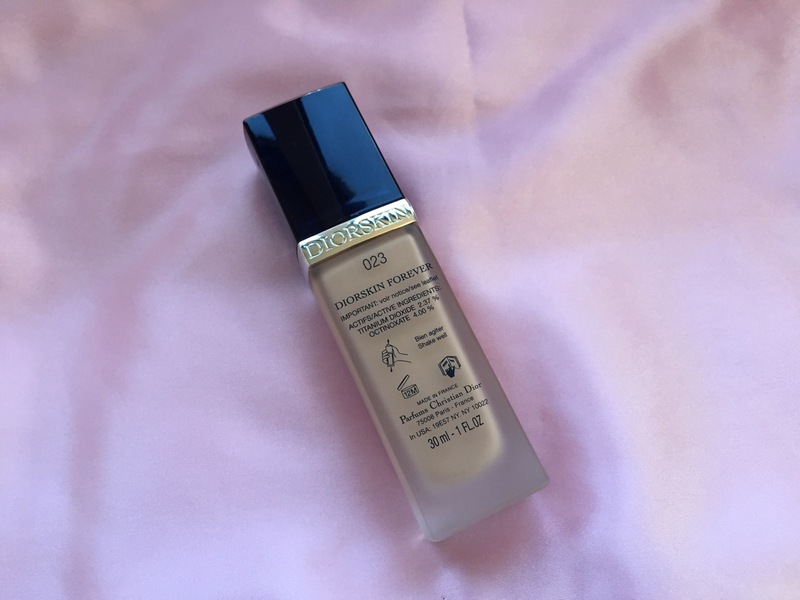 This foundation is relatively easy to apply. The amount of product you need to use to cover your face will depend on what you use to apply it. If I use Sephora Pro Flawless Airbrush #56, two pumps are usually enough to cover my whole face. However, that will be relatively light coverage. If I need some heavy artillery, I use Dior Full Coverage Fluid Brush (bristles are very dense in this one) and three-four pumps of the foundation – then you can be sure all imperfections are concealed. I have lots of freckles (especially in summer or on vacation) and very dark circles under eyes, so this foundation really saves me. I am not big fan of concealers since most of them are way too heavy and close pores, so Diorskin is an answer to my prayers to the gods of makeup. The feel of the foundation is nice – it doesn’t feel heavy, too creamy or greasy. As a matter of fact, with this foundation on my face I don’t feel like I am wearing anything at all. Most importantly, if you apply it right (please don’t do it with your fingers), nobody would even know you are wearing face makeup. Your face will look flawless but natural – with Diorskin you will never have that horrible I-am-right-from-the-Broadway-stage makeup. The foundation blends into your skin, adapts to your complexion and enhances natural beauty of it. 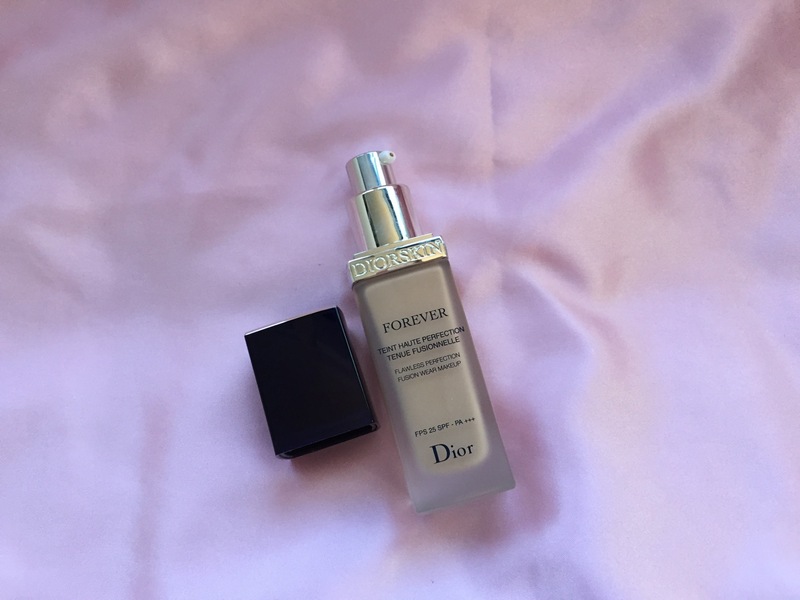 I didn’t notice Diorskin to be drying but if you do have dry skin (as I do), I would recommend applying moisturizer and primer before the foundation. I use Benefit Triple Performing Facial Emulsion (it’s very light and has no oil) and Dior Airflash CC Primer. This combination works for me but really, it’s all a matter of perfonal preferences. The staying power of the foundation is strong: I wear it the whole day and there is no need to re-apply. Of course, I do have to do touch-ups with powder but nothing out of the ordinary. Weather in D.C. is incredibly humid, and in summer most foundations practically melt on your face after one hour outside. Diorskin doesn’t. Finally, unlike other foundations, Diorskin doesn’t cause any redness or breakouts. Maybe because it doesn’t have any oil. provides great experience – you’ll feel amazing and beautiful using this little bottle of awesome.